File this under the "how'd I miss that?!" 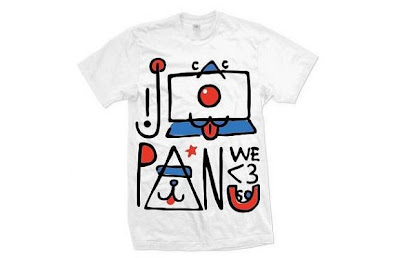 section of the site - apparently the Cool Cats and So - Me collaborated on this Japan t-shirt above, abtly titled, - "Japan We <3 You!" Purchase here. 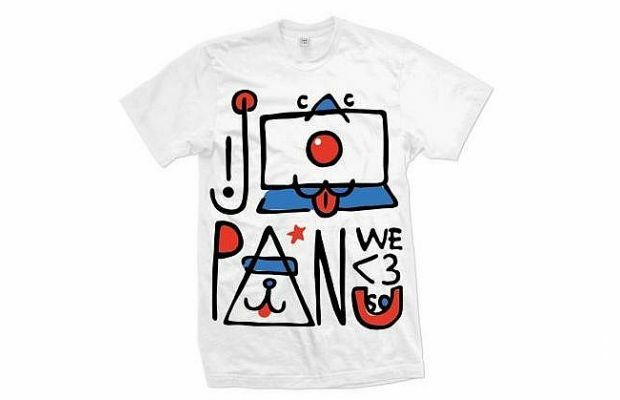 Profits of the sales will benefit the victims via the Japanese Red Cross.